In response to the Zika virus epidemic of 2015-2016, the Brazilian Association for the Chlor-Alkali and Derivatives Industry (Abiclor) launched the CloroNaZika campaign. This campaign informed citizens and raised awareness on how to prevent the proliferation of the mosquito Aedes aegypti by using chlorine bleach. As the Zika epidemic lessened in 2017, the campaign continues today as Cloro no Aedes. Scientific studies from the University of São Paulo have shown that chlorine bleach is almost 100% effective in preventing the development of Aedes aegypti mosquito larvae, the type of mosquito that spreads Zika, dengue, chikungunya, and yellow fever. Since 80% of mosquitos’ proliferation starts inside residences, the campaign guides people on how to use chlorine bleach to clean bins, toilets, gardens, water tanks, drains, plumbing, planters and other items that collect water to prevent the growth of mosquito larvae. 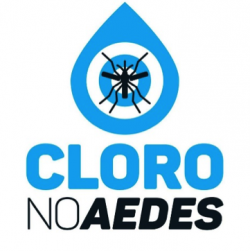 Abiclor, in partnership with the Brazilian government, distributed leaflets in strategic spots of Brazil’s major cities containing information on how to properly use chlorine bleach to be effective against mosquito larvae development. Radio and print ads also helped spread the message to the people of Brazil. The campaign continues to be publicized on social media, including Facebook, Twitter, and Instagram. In this application, chlorine chemistry has proven to help the people of Brazil combat the diseases spread by the mosquito Aedes aegypti.